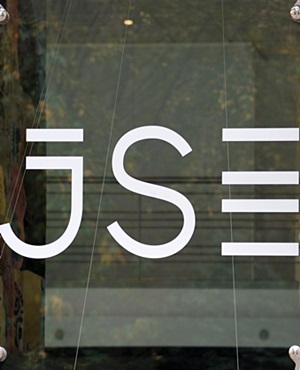 The bourse operator JSE appointed Zarina Bassa and Faith Khanyile as independent non-executive directors to the board, it said in a SENS announcement. Bassa will serve as chairperson of the JSE's Group SRO Oversight Committee and as a member of the Group Risk Management Committee. Khanyile will join the JSE's Group Audit Committee and Group SRO Oversight Committee. Both will join the board effective 1 November 2018. "Bassa has extensive strategic and operational experience in banking and financial services, as well as within audit and advisory services," said the JSE. Her previous executive roles include serving as executive director of Absa Bank and as a partner and chief operating officer of Ernst & Young's sub-Saharan Africa practices. Bassa, a member of the South African Institute of Chartered Accountants (SAICA), is also on the boards of Woolworths, the Investec Group and Oceana Group, and serves as chairperson of Yebo Yethu. She has also previously served as a board member of the Financial Services Board. "Khanyile has extensive strategic experience in financial services, corporate and investment banking, strategy development and leadership." She currently serves as CEO of WDB Investment Holdings (WDBIH), a strategic transformational investment company, and has been associated with WDB for over twenty years. Khanyile spent twelve years with Standard Bank, Corporate and Investment Bank (CIB) in various senior management and executive roles, including as a member of the CIB Executive Committee. She serves as a non-executive director on the boards of Discovery Limited and Safari RSA Investments. Khanyile also sits on the board of Seed Engine, a supporter and funder of SMMEs.